I pored over the pages of Women and Power hoping to find at least one mention of ‘psychology’ somewhere, so as to justify this review. I wanted to review this book because I want everyone to read it. Not just because it fits rather nicely with my own interests, but also because it offers a solution to the gender inequality problem that permeates society. 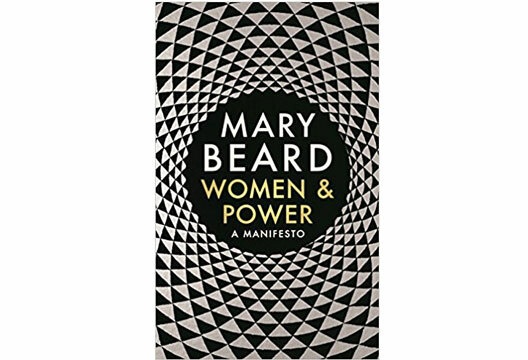 Impressively, Beard calls upon ancient Greek and Roman tales to explain, understand and challenge current relationships between power and gender. Beard explores the dynamics of power in a way that marries the ancient with the contemporary. Looking to academia, she comments on the incompatibility between what we understand to be ‘professor’ and ‘female’. When attempting to conjure an image in our mind (or, as she later proves, on a Google image search), the two don’t seem to be able to coexist – at least, within one person. She explains that this reflects how our ‘cultural template for a powerful person remains resolutely male’. In ancient times, speaking was an exclusive practice that ‘defined masculinity as a gender’ and the same can be said for today’s world. In one particularly good example, Beard references Riana Duncan’s satirical sexist ‘Miss Triggs’ cartoon: Miss Triggs makes a comment in a meeting, a male colleague praises her suggestion, adding ‘perhaps one of the men here would like to make it’. The ‘Miss Triggs problem’ pervades gendered social interaction, and tells us a lot about how so-called ‘outspoken’ women are viewed. I was tempted to fill this review with more of her deliciously poignant quotes and examples, but I won’t – partly because there are far too many, and partly because I want you to read them for yourself how they were intended, for the very first time, in the context of one of her many insightful arguments. From Donald Trump, to Harvey Weinstein, to Theresa May’s ‘shoe thing’, Beard proves that ancient history has a lot to tell us about current power relations. For example, the first time ever that a man tells a woman to ‘shut up’ is, according to Beard, in Homer’s Odyssey. Telemachus tells his Mother, Penelope, ‘Speech will be the business of men, all men, and me most of all’, to which she replies by quietening down and doing what she’s told. This marks a cultural landmark and sets out the stall of gender and power; one that, arguably, continues to this day. Speech as men’s business, or muthos, continues to be enforced in contemporary society. Furthermore, not only is male speech encouraged, but women are actively silenced. In Ovid’s Metamorphoses Io is turned into a cow so she moos rather than speaks, and Echo is also left without control over her own voice. A theme begins to emerge. These are the kinds of linguistic power dynamics that discursive psychology is rooted in. A discursive psychologist, or conversation analyst, may call these exchanges ‘scripts’, a social psychologist may refer to gendered ‘schemas’, but ultimately, we are talking about the same issue: a deeply rooted socially imposed idea that favours men in power and excludes women. As it happens, there is a mention of ‘psychology’ in this book, albeit a passing nod towards the ‘pop-psychology’ idea that men are from Mars and women are from Venus. However, I think this book proves how conversations around gender are not to be relegated to one specific arena. Classics, popular culture, sociology, and psychology all join forces in this book to untangle the roots of gender power relations. In the wake of Time’s Up, #MeToo, and a general growing sense of rejection of gender inequality, this book could not be more timely.